Since we're on the internet, I'm a little surprised that Cena beat Mick Foley, but that's definitely the right decision. I love Mick Foley, but in a tournament ranking WWE Champions, I can't think of a single argument for Foley over Cena except personal preference, which is fine for the 38% that voted for him, but Cena definitely should've won. Edge vs. Orton was a nail biter with "The Viper" making up some serious ground in the final hours. Ultimate Warrior over Billy Graham is heartbreaking, but much like Jeff Hardy over Pedro Morales, I attribute that to age... 20 years too soon, indeed. Steve Austin demolishing Sid is no surprise, but seriously, 2% for Sid? I'd love to hear the argument for that. Your next round of matches will cover the West Turnbuckle, and those two matches are now available for voting to the right of your screen. 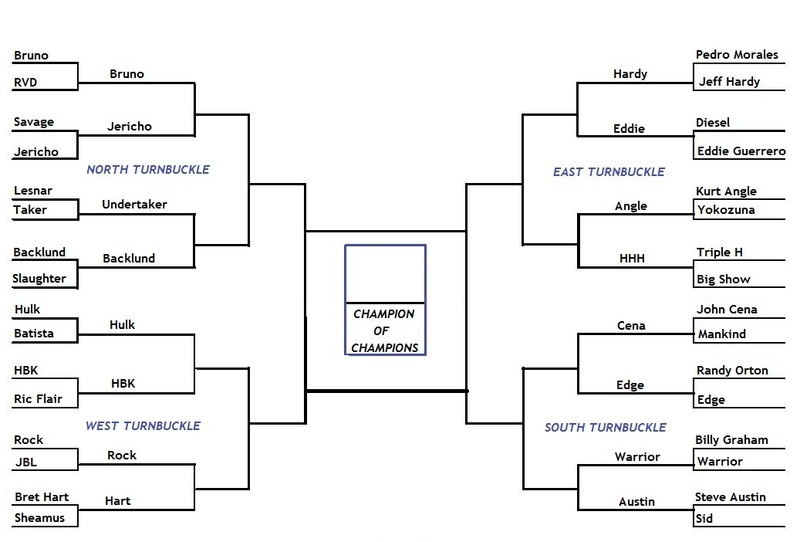 This is a star-studded bracket, and quite possibly the hardest matches to vote on in all of Round 2, so make your vote count! 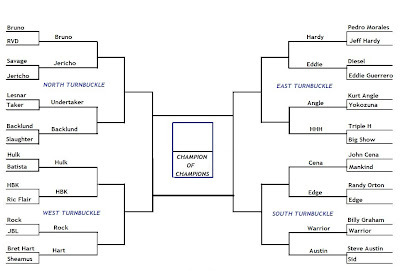 Polls will be open for a week at most, but if the matches are total blowouts, we will move on. Wow, looks like a monumental battle is brewing for the next round. I just can't believe HBK is that far ahead of Hulk friggin Hogan.